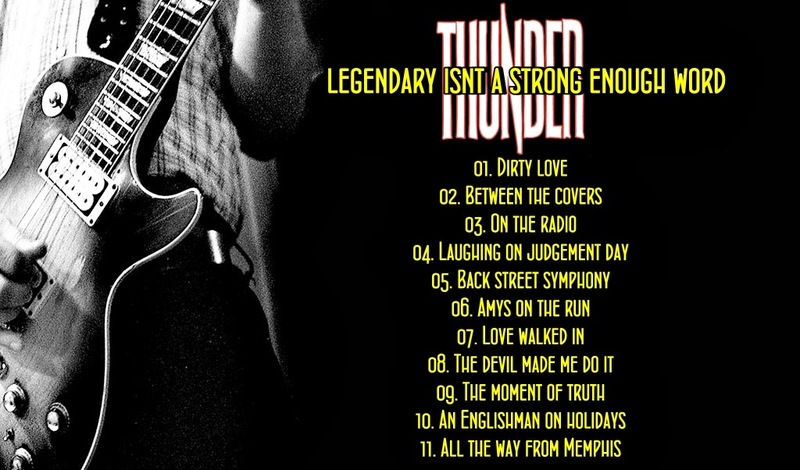 SO, in the tradition of great blues englsh rock bands...I present for your enjoyment ...THUNDER....get amongst it ! Vocalist Danny Bowes and lead guitarist Luke Morley first played together when they were 15-year-old classmates in London. 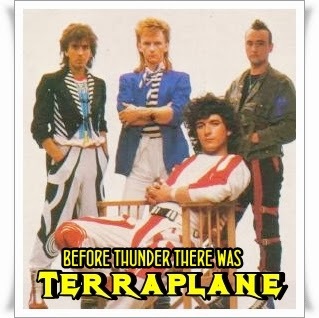 The two later formed the band Terraplane, which released two albums but broke up in 1988. Bowes, Morley, and drummer Gary "Harry" James then formed Thunder, recruiting bassist Mark "Snake" Luckhurst and rhythm guitarist Ben Matthews. The group's first two singles both hit the U.K. Top 40 and earned Thunder a support slot for Aerosmith and a gig at the 1990 Monsters of Rock festival. Backstreet Symphony, released just a year and a half after the group's live debut, reached the U.K.'s Top 20 and was certified gold. The follow-up, Laughing on Judgement Day, appeared in 1992, followed three years later by Behind Closed Doors. 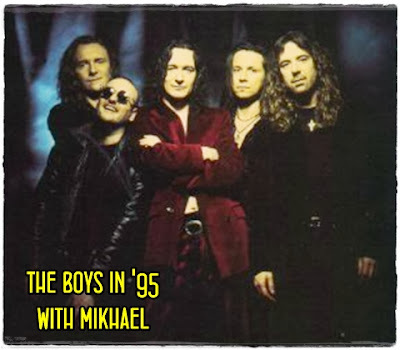 1996 saw the release of their fourth full-length album, the radio-ready Thrill of it All. A series of live recordings and compilations peppered the next five to seven years, followed by the arrival of 2003's Shooting at the Sun. 2005 saw the release of Magnificent Seven, followed by Robert Johnson's Tombstone in 2006, all three of which were put out on the Frontiers label. 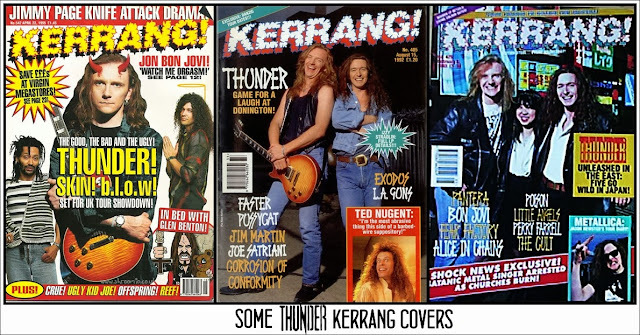 If the grunge revolution hadn't occurred in the early '90s, there's a chance that Thunder would have followed the likes of Whitesnake and Bon Jovi up the charts. Already blowing up back home in the U.K. (with their 1990 debut Backstreet Symphony), the group enjoyed some spins on Headbanger's Ball in the U.S., and made admirers the likes of David Coverdale and Axl Rose. 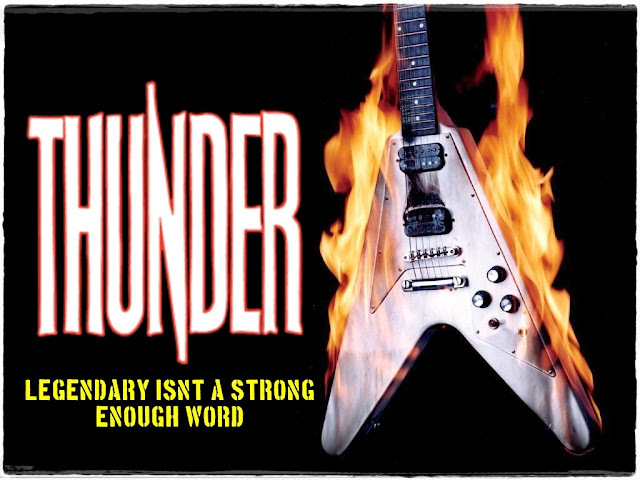 But unlike most of the other similarly styled metal bands that seemed to vanish during the early to mid-'90s, Thunder continued to issue albums and 2005 saw the release of The Magnificent Seventh!. Unlike some other acts from the hair metal era who decided to update their sound upon returning to the scene in the early 21st century, Thunder continue on in the melodic rock direction they've followed all along, as evidenced by such tracks as "I Love You More Than Rock n' Roll" and "Monkey See, Monkey Do." 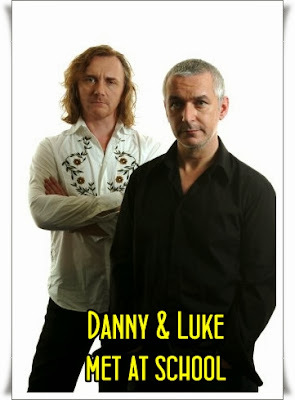 Luke Morley and Danny Bowes first met at Haberdashers' Aske's Hatcham College in 1975. At the age of 14 Danny talked his way into a band Luke had formed with Paul Caple, he couldn't play an instrument so claimed to be a singer; the band auditioned him and he was deemed good enough to join. The boy he replaced was pushed aside to become a bass player but by a twist of fate would one day become Thunder's manager. The band went on to call themselves Nuthin' Fancy, in following years they played in pubs around the London area and released an independent single ‘Looking For A Good Time’. 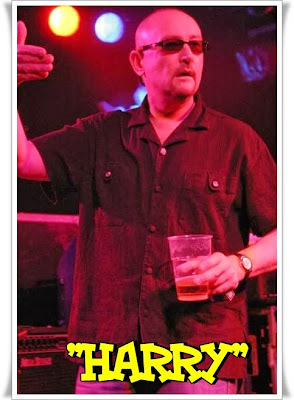 When Harry James joined after the previous drummer left, the band renamed themselves Terraplane. As Terraplane they played many gigs, including regular gigs at the Marquee Club and a performance at the 1982 Reading Festival. They were signed by Epic Records and ultimately released two albums, but they became frustrated by the more pop orientated direction the record company was guiding them in. 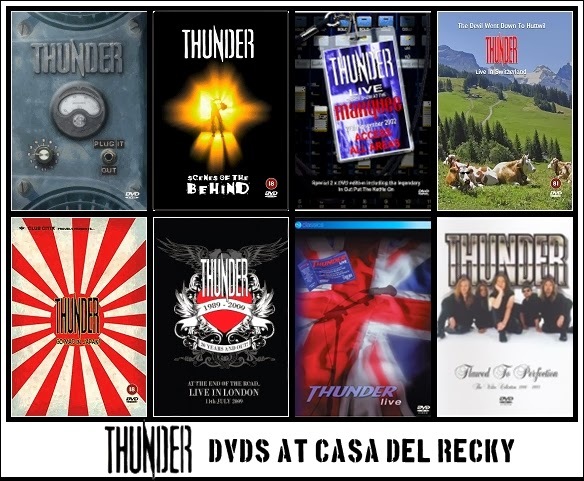 After a trip to the US showed them that there was a vibrant rock scene developing they realised that there was a place for the sort of music they wanted to make and came back to England to form Thunder. 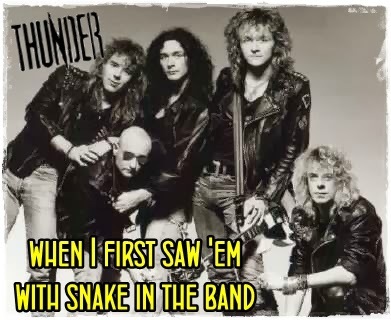 Thunder were signed quickly with EMI after performing a demo audition in 1989, and soon began recording their first album Back Street Symphony. With their producer, Andy Taylor (of Duran Duran) they created many blues-rock and atmospheric ballads, steering away from the melodic power pop of their previous band. The album was a huge success in the UK, helped by a prestigious appearance opening the 1990 Monsters of Rock festival at Donington Park. Their performance at this event was almost universally praised and elevated them to new levels of popularity. A follow-up album, Laughing on Judgement Day appeared in 1992 and reached number 2 in the album charts at a time when the grunge scene was beginning to change the hard rock landscape. All four singles released from the album were Top 40 successes, and A Better Man made the UK Top 20 in early-1993. 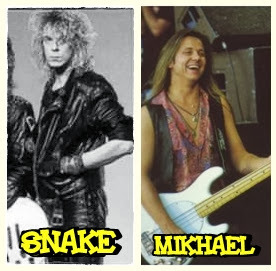 However, this period was the most turbulent in the band's career; Snake quit the band after the subsequent tour and was replaced by Swedish bass player Mikael Höglund. 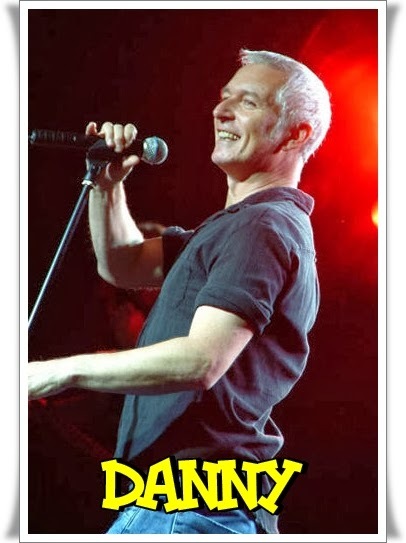 Meantime, rumours of an approach by Whitesnake singer David Coverdale to recruit Luke Morley were circulating (Although in 2002 Danny Bowes stated that "the whole thing was made up" by the band to engineer some press interest). and it would be another two years before the third album appeared. That album, Behind Closed Doors was reasonably successful, reaching number 5 in the album charts, despite this it was to be the band's last studio album for EMI, and they parted company with the label with a compilation: Their Finest Hour... And A Bit, notable for its inclusion of several unreleased tracks, in particular a cover of the Python Lee Jackson song In a Broken Dream. For personal reasons Mikael Höglund was unable to participate in the recording of the band's fourth album The Thrill Of It All; Luke Morley handled bass duties and the album was released on the independent B Lucky record label. 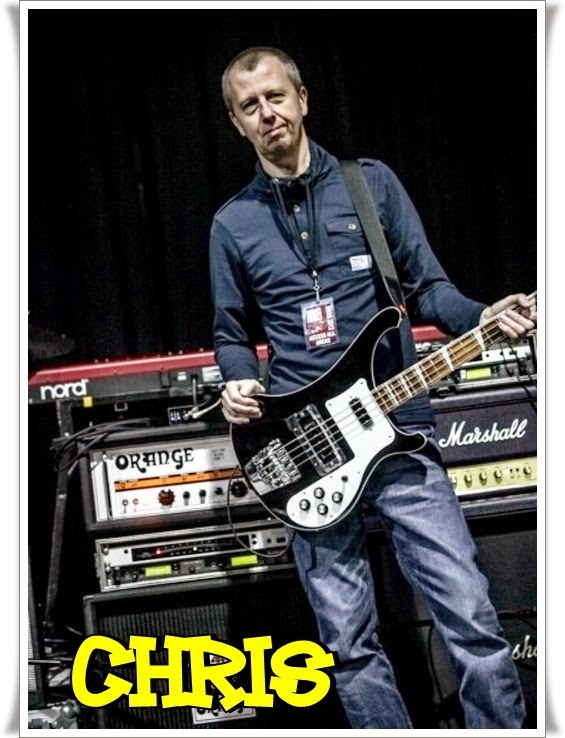 The band recruited bassist Chris Childs for the tour; and he remained with them for the rest of their career.. In 1998, the band released Live. The album was a concert recorded at Wolverhampton and Shepherd's Bush Empire in London. A DVD was released also featuring the video to the album. Later that year two EPs were released containing the single The Only One. One EP featured the studio recording while the other featured the live version. Both EPs contained three extra bonus tracks. In 1999 they released their fifth studio album "Giving The Game Away"; toning the guitars down in favour of a mellower approach with more keyboards. This album was released to coincide with the band's tenth anniversary; however they announced in autumn 1999 that they were to split, much to the dismay of their fanbase, many of whom had followed them from the beginning. Following a UK tour in November 1999, and some dates in Japan in early 2000, they bowed out on 4 May 2000 with a show at Camden Dingwalls in London, which was recorded for the album They Think It's All Over... It Is Now. Luke Morley returned to the scene the following year with the solo album El Gringo Retro and played a brace of live shows at the Borderline in London, backed by virtually all of his former bandmates (Danny Bowes being the exception) and with the McDonald sisters on backing vocals Tara McDonald & Anna McDonald. Morley and Bowes reunited in 2002 for the soul influenced album Moving Swiftly Along again with Tara McDonald & Anna McDonald on backing vocals......In 2009, Luke Morley teamed up with Peter Shoulder to form The Union (band), who released their first album in 2010 and second in 2011. Thunder were tempted back into action by a slot on the touring Monsters of Rock UK arena shows in late 2002. They returned in November 2003 with a new album called Shooting at the Sun released on their own label - STC Recordings. Their second self-released album, The Magnificent Seventh spawned a top 30 single, "I Love You More Than Rock And Roll" in March 2005, reaching #27 in the UK Singles Chart. Their resurgence can be traced through the venues booked for their live tours. 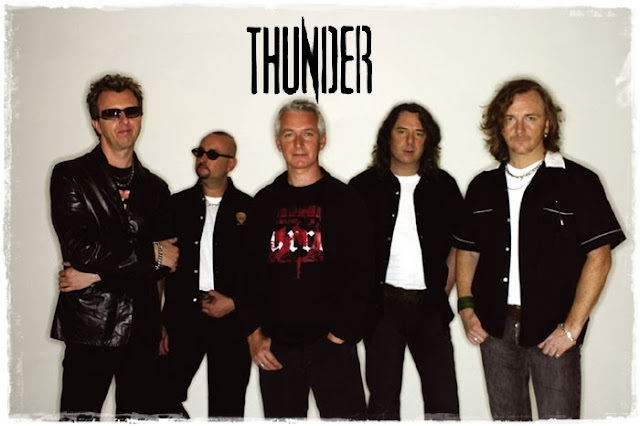 In 2006 Thunder returned, for the first time since the days of the EMI released Back Street Symphony album, to headline the Hammersmith Apollo at the end of a 12 date UK tour. 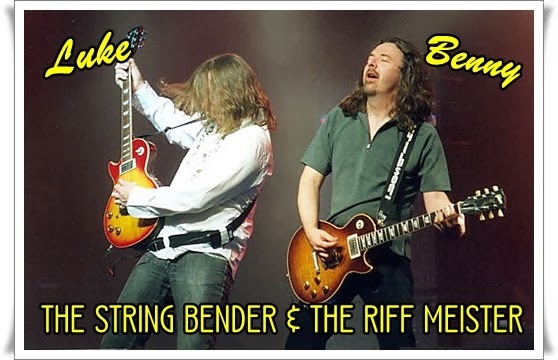 The band also took part in the return of the Monsters of Rock festival in 2006 at Milton Keynes, sharing the bill with Deep Purple, Alice Cooper, Journey, Queensrÿche, Ted Nugent and Roadstar. Hailed as one of the stars of the show Thunder justified their reputation as one of the best British live acts. The band released their eighth studio album on 30 October 2006, entitled Robert Johnson's Tombstone. It follows Thunder's traditions of good honest blues rock albums, with big riffs and big sing-along choruses....The single "The Devil Made Me Do It" taken from this album reached #40 in the UK Singles Chart on 10 December 2006, and the video, produced and animated by Andy Doran, also enjoyed significant success on its first week when uploaded to the YouTube site, and has received airplay on Scuzz TV. Thunder undertook a European Tour in early 2007, their first in nearly 12 years, playing small venues in Spain, France, Belgium, Holland, Germany and Italy. A further UK tour took place in November and December 2007. In February 2008 it was announced Thunder would be the opening act on the second leg of Def Leppard and Whitesnake's co-headline UK arena tour. The second leg in July 2008 opened in Cardiff International Arena before heading to Liverpool Arena and Nottingham Arena. Thunder released their ninth studio album 'Bang!' in the UK on 3 November 2008 through their own STC label and in mainland Europe via Frontiers Records on 7 November 2008. While writing the album they released three limited edition EPs, Six Of One,...Half A Dozen Of The Other and The Joy Of Six. Thunder announced a decision to split ("hitch up our wagons and ride into the sunset") on 28 January 2009 via their website. The band cited outside interests as the reasons for the split with members of the band playing in other bands when not touring with Thunder. Bowes mentioned the stresses of managing a website for the band, along with management and vocal duties taking their toll, added to the decision to split. 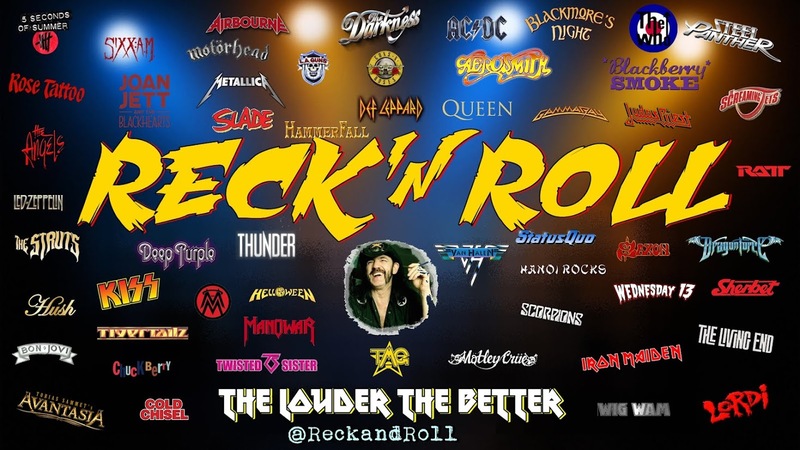 Many tributes from classic rock websites and radio shows were published[who?] along with well wishes from fans. The band played at Download-2009 (Tuborg stage) on Sat 13 June 2009, toured Europe and Japan before returning home for the British leg of their farewell tour in July 2009, their final full gig was played at the Hammersmith Apollo on 11 July, however the band made an appearance at the Rock of Ages festival in Germany on 31 July. Their very final appearance took place at the Sonisphere Festival, Knebworth where thanks to another band pulling out they were able to arrange a place on the bill at late notice. On Saturday 1 August 2009 at around 11pm Thunder took to the stage in a packed Bohemia tent and played a short final set. 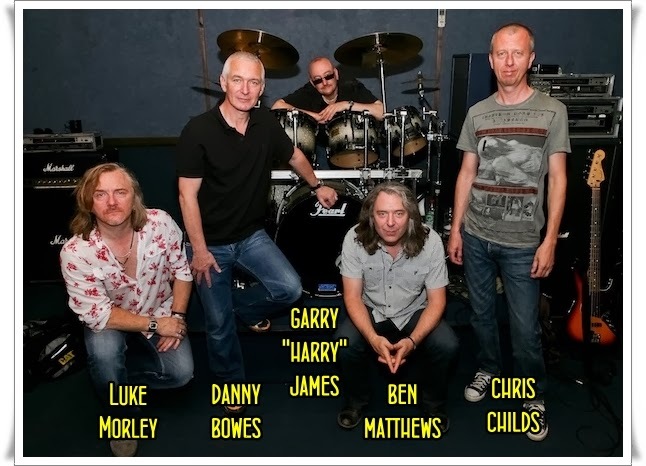 Harry James has appeared as Magnums drummer. Danny Bowes has appeared as occasional vocalist for Kenney Jones's band the "Jones Gang" singing live at Kenney's Polo Club. 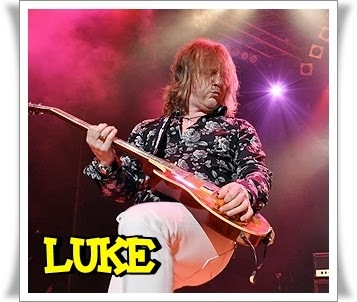 Luke Morley has teamed up with Peter Shoulder in the band "The Union" and has played the High Voltage Festival in 2010. Chris Childs has joined the "Ultimate Eagles" an Eagles tribute band and toured extensively. In February 2011, it was announced that the band would reunite for a one-off live performance, at that year's High Voltage Festival in July 2011. Thunder played on the Sunday and were 3rd on the bill below Dream Theater and Black Country Communion. Thunder played two Sold-Out Christmas Shows on 20/21 December 2011 at Nottingham Rock City.....In January 2012 Danny and Ben played a tour under the title of "Danny & Ben From Thunder" performing acoustic versions of Thunder songs, cover versions and telling stories of Thunder on the road. In April 2012 it was announced that Thunder would play a Christmas show at Manchester Academy on 21 December 2012. The show sold out within 6 hours of tickets going on sale, leading to the announcement of another show at the same venue the following night. This also sold out well before the show. The band toured the UK with Whitesnake and Journey in May 2013.... Thunder also played the Download festival 2013 on 15 June on the Zippo Encore second stage. They also performed at Wacken Open Air 2013 on 1 August. 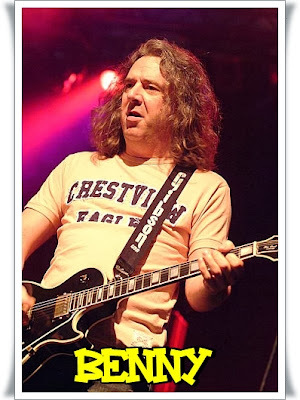 After the breakup of Thunder in August 2009, guitarist Luke Morley announced that he had formed a new group with Pete Shoulder, whose previous band, Winterville, had split in 2007. 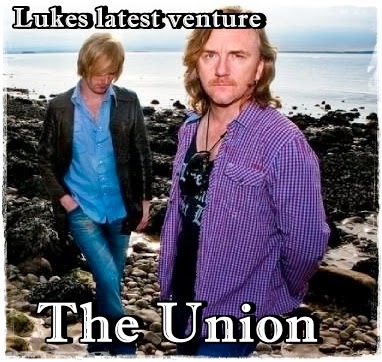 The band was to be called The Union. The pair had met each other eight years previously and had "worked together ever since whenever our previous commitments allowed us time". 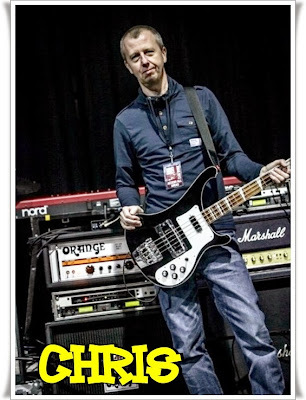 Chris Childs (also previously in Thunder) and Phil Martini (from Down 'n' Outz) were later named as the bassist and drummer respectively for the band, although not as 'full' members of the group, as they intend to have a more "fluid line-up"